Picked up this hood 3 years ago and it has never been mounted - just sitting in my garage, time to let it go. Unpainted, black. 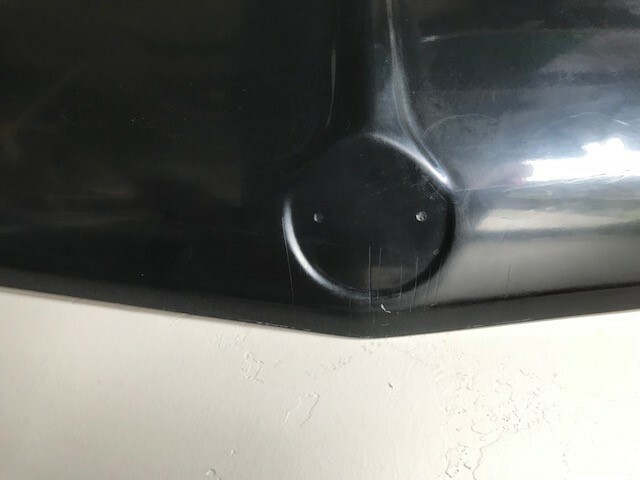 This is the hood that takes standard mounting hardware. Need this gone .....best offer at/over $675!!!!!! Idea on weight of hood? 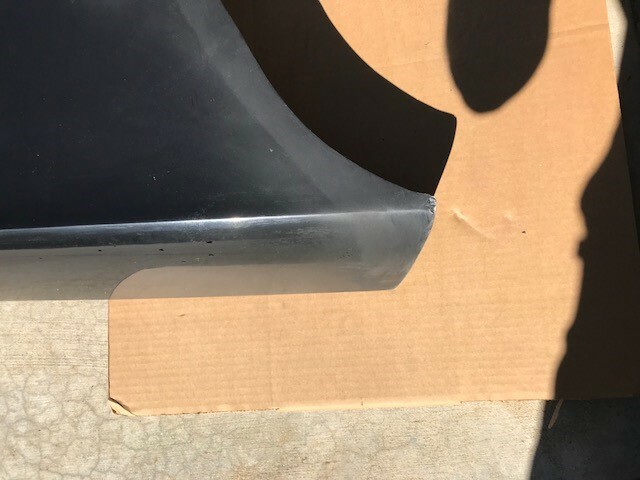 the carbon hoods weigh between 18-23 lbs shipping the hood to you would run $170.00 the carbon fibre hoods are in black or white gel coat, NOT CLEAR CARBON! If you have interest in the hood please PM me with an offer!! i know this is an old ad, but just a thought ( I am selling one of these too on the East Coast). did you ever try to mount it to a car? AIR had HORRIBLE quality control back then. 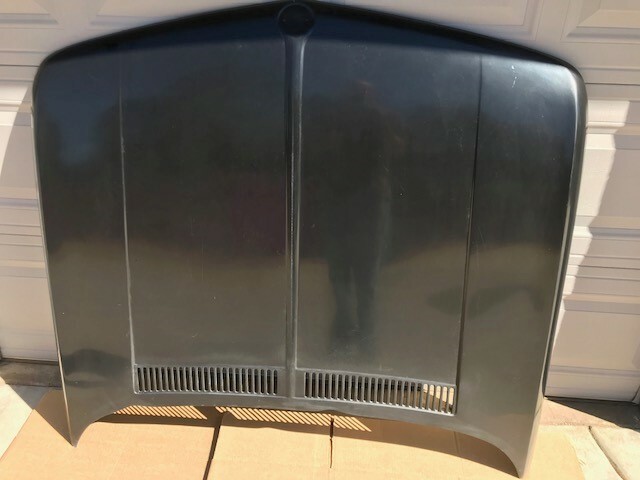 It may prevent issues with a buyer later if you can show that the hood actually fits and all the stock mounting points are in the right place, the center catch is correct and holes are tapped for the correct size bolts. 2 out of 3 AIR hoods i got were very wrong. they looked fine until installation was tried. if this one actually fits correctly and is still available, it is a good deal! heck, even if it does not fit, it could still work with a hood pin style installation. have not tried on my car, good idea might give it a try. Right now with other commitments that may be a while though. wonder if there would be any interest at $500? 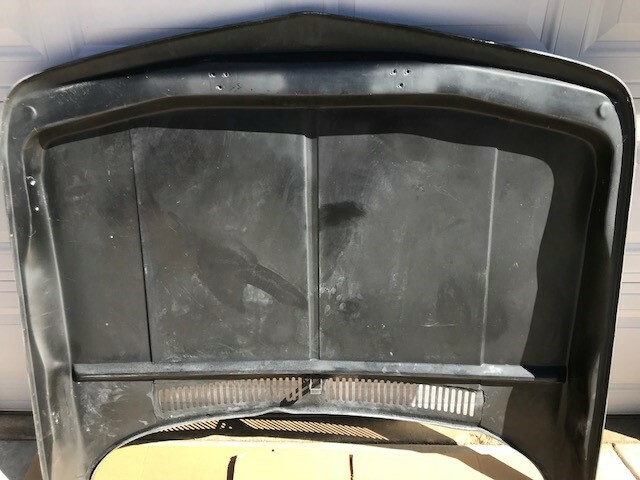 A stock hood with no cross bar, no trim, no insulation, is ~42lbs.